Keep in mind that the Sold Price Data versus the List Price Data does not reflect any price reductions which may have occurred. 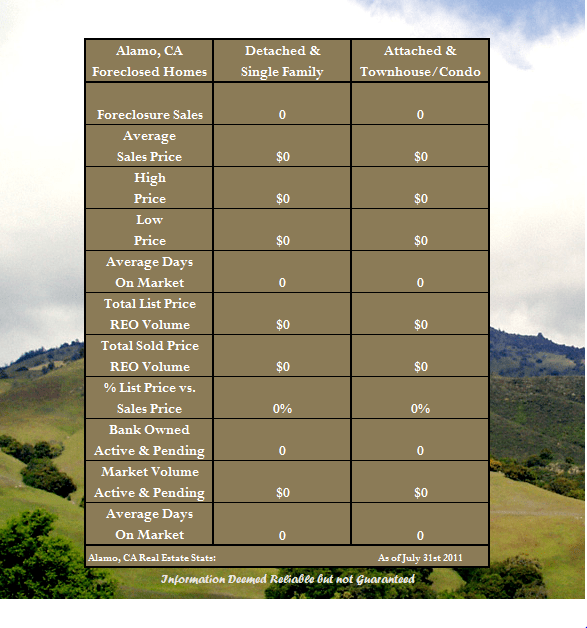 For more detailed information of the current Foreclosure/REO market in Alamo please call. Share the post "Alamo Bank Owned Home Sales for July 2011"